The Knitting Pirate » In Which the Pirate Acquires Booty. « In Which the Pirate Works on a Sock. In Which the Pirate Acquires Booty. 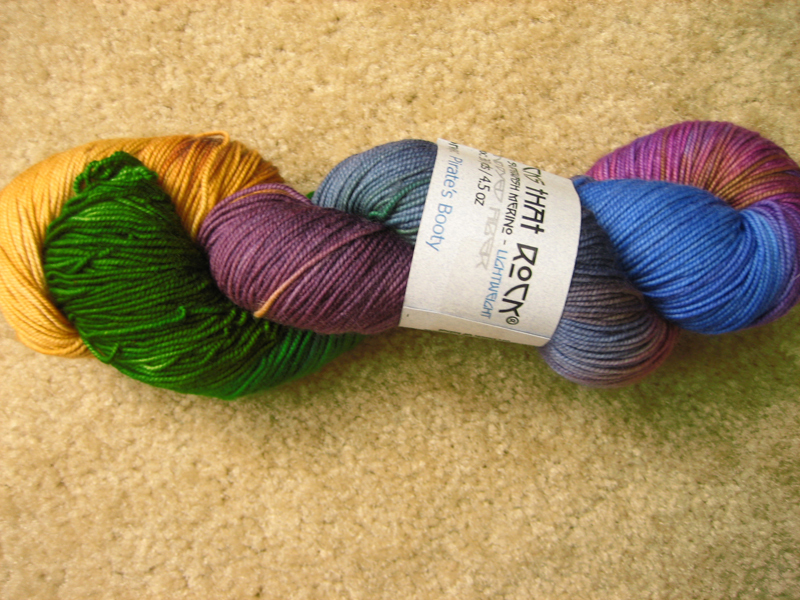 When I heard that Blue Moon Fiber Arts had added new colors, I went straight to the website to look at them. After a lot of back-and-forth, and some discussions with certain Enablers (notably Pirate-Husband, who laughed and told me to just buy the damned yarn already), I was still a little unsure about buying some Socks that Rock... and then I saw the name of one of the new colorways. Now tell me, how in hell was I supposed to resist a yarn named *Pirate's Booty*? Really! 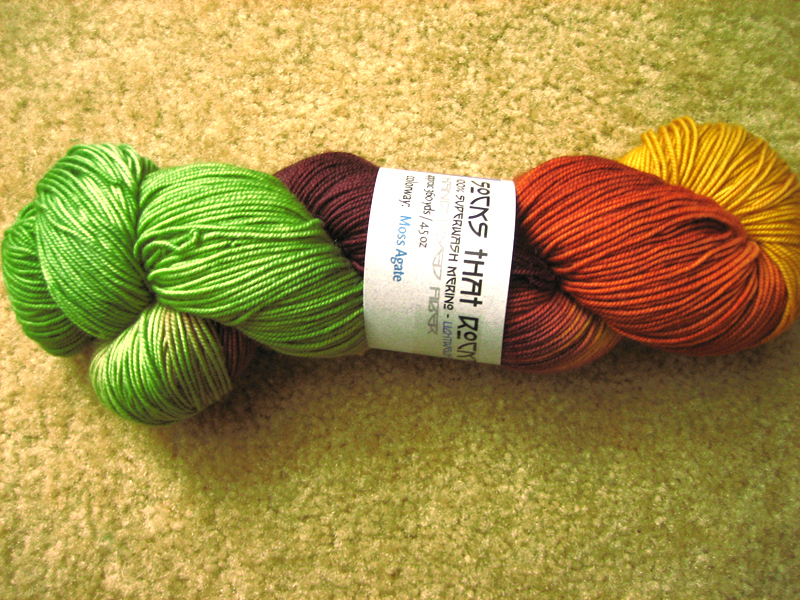 This entry was posted on Tuesday, October 2nd, 2007 at 16:57 and is filed under stash, yarn. You can follow any responses to this entry through the RSS 2.0 feed. Both comments and pings are currently closed. Hey Rachyl, Loopy Ewe expects to have some Wollmeise back in stock sometime in November. (Word is that the rainy weather in Germany is causing the wool to take longer to dry after dyeing.) I check Loopy Ewe & Sheri's blog regularly, so I can let you know when they get it in - but you'll need to move quickly at that point since they sell out of it like that * !